Former CAS President John J. Kollar, whose CAS service encompassed education, strategic planning, methods development, literature and diversity, died on March 29, 2017. Born in Queens, New York, he earned a BA in math from Fordham University in 1968 and was stationed stateside during the Vietnam War. He married Helen Paul in 1970 and together they raised three children: John (FCAS 2009), Carolynne and Steven. He served the CAS in many capacities, from a new FCAS on the Examination Committee to VP-Admissions to a retiree University Liaison. As president he championed ERM, signing the Global Enterprise Risk Management Designation Treaty in 2009. He began at ISO in 1968 and retired in 2013 as vice president-personal lines/increased limits/rating plans for ISO Insurance Programs and Analytic Services. He held a CPCU, and he volunteered with the American Academy of Actuaries, Joint Risk Management Section and the Joint CAS/SOA Committee for the ERM Symposium. Community and church were also important to him. He enjoyed dancing with his wife, doing so whenever he could, and loved skiing. Kollar is survived by his wife, children, six grandchildren and brothers Joseph and Robert. Harry T. Byrne, a 37-year veteran of Aetna Casualty in Hartford, Connecticut, died on August 27, 2017. Byrne was born in Janesville, Wisconsin, and graduated in 1952 from Wisconsin’s Beloit College. After serving in the field artillery of the U.S. Army’s 25th Infantry Division during the Korean War, he attended the University of Wisconsin Business Graduate School. Byrne joined Aetna in 1955, eventually settling in Wethersfield, Connecticut, in 1961 with his wife, the late Nancy (Ashley) Byrne. The couple were married for 52 years. He was a member of the First Church of Christ and volunteered for The Kidney Foundation, Habitat for Humanity and the United Way. Throughout the 1960s, he served CAS committees on education, examination, programs and election procedures. He was chair of the Associateship Examination Committee, a CAS Board director and a Proceedings author. He enjoyed tennis, skiing and traveling, but especially spending time with his family and grandchildren. Byrne is survived by his children: Thomas (Nancy) Byrne, Carolyn Yablon, Mary Byrne, Alan (Sandra) Byrne and Laura (John) Graham; siblings, William (Nancy) Byrne and Joan Cavitch; and 10 grandchildren. In addition to his wife, he was predeceased by his sisters, Kathleen Mowry and Anne Kisting. Growing up in Savannah, Georgia, with its proximity to the sea, Edward Hobbs was drawn to become a marine. A graduate of Savannah’s Benedictine Military School, he served honorably as a first lieutenant in the U.S. Marine Corps and captain in the U.S. Marine Corps Reserve. Even long after his military career, his ocean fascination led him to join the Church of St. Mary Star of the Sea in Unionville, Connecticut. He graduated from Pennsylvania’s Villanova University and became senior vice president of the Insurance Company of North America in Philadelphia. 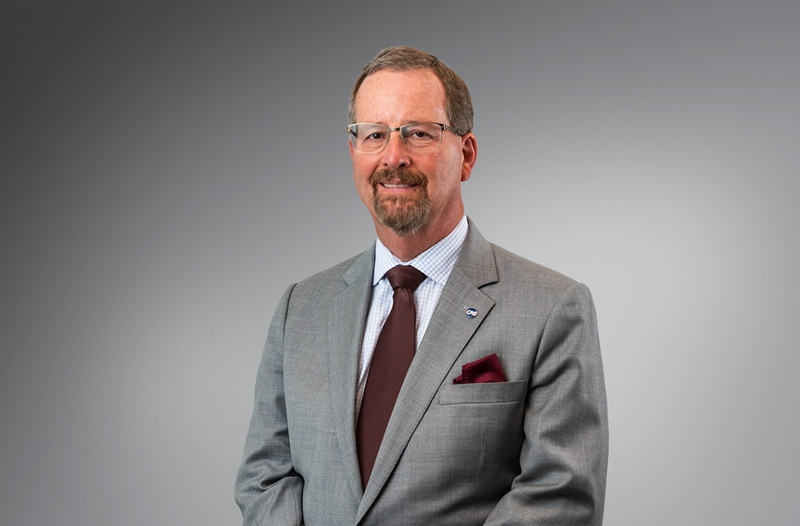 His next career move was to Orion Group, Inc. of New York City and Farmington, Connecticut, where he was president and COO and retired in 1987. In the 1960s, he was a member of the CAS Education and Examination Committee, mainly focusing on education. From 1968-1970 he worked on finding examination locations for the CAS Committee on Sites. Hobbs also teamed up with other CAS notables, Robert Bailey, Frederic Hunt and Ruth Salzmann, to write the 1961 Proceedings paper, “Commercial Package Policies-Rating Statistics.” He is survived by his wife Helene; six children; one brother; four grandchildren; three step-grandchildren; and one great-grandchild. A sister and two brothers predeceased him. Alan Seeley, a talented pianist, violinist and songwriter, who produced three CDs of original children’s songs on his Songs for Kids label, died at home following a lengthy battle with pancreatic cancer. He was born in Fairfield, Connecticut, to Virginia and Joseph Seeley. A graduate of Fairfield Prep, he worked as a piano tuner prior to studying music at the University North Texas in Denton. He graduated from the University of Minnesota in St. Paul with a BA in mathematics in 1986 and earned an MS in financial engineering from Columbia University in 2015. He began his actuarial career in 1986, working in Minnesota, California and New York. He moved to Santa Fe in 2002 to be property/casualty actuary for the insurance division of the New Mexico Public Regulation Commission. In 2013 he became chief actuary and acting deputy superintendent for the New Mexico Office of Superintendent of Insurance, also in Santa Fe, serving there until 2018. His work included regulations as well as preparing new regulatory legislation for insurance. Seeley is survived by Elaine Woldorsky, his wife of 32 years, and brothers Robert and Kenneth. Contributions in Seeley’s memory may be made to Doctors Without Borders or the Pancreatic Cancer Foundation. A professor emeritus at Temple University in Philadelphia and a CAS Academic Correspondent, Gerald R. Hartman earned both his FCAS and ACAS in May 1969, having graduated from the University of Pennsylvania in 1963. He was an enthusiastic promoter of and thought leader for the actuarial profession and an alum of the S.S. Huebner Foundation for Insurance Education, an organization that played a major role in sustaining insurance and risk management in higher education, thus directly contributing to the insurance industry and the public interest. In 1967 he wrote Ratemaking for Homeowners Insurance under the Foundation’s imprint. He promoted Temple’s new actuarial science program in a 1970 issue of The Actuary newsletter and advocated for an actuarial science major in Temple’s MBA program. He contributed to the Journal of Risk and Insurance, writing the paper “Insurance Experience and Rating Laws” (JRI 37:2), and was thanked in the acknowledgments of Brown and Gottlieb’s Introduction to Ratemaking and Loss Reserving for Property Casualty Insurance, Third Edition. His CAS contributions include the 1968 Proceedings paper, “Rate Regulation and the Casualty Actuary — Revisited,” and committee involvement covering three decades, including work on basic and continuing education, new candidate recruitment and Foundations textbook development. Hartman retired to Scottsdale, Arizona.